The term Naturopathy was coined around the turn of last century yet its roots date back thousands of years. It is a system of medicine employing the use of non –toxic natural therapies to achieve good health. Treat the whole person – i.e consider the physical, emotional, mental and the spiritual when treating someone. The physician is a teacher – they are there to educate and empower their patients and embue them with the responsibility for their own good health. Prevention is better than cure – just as your Dentist wants to see you regularly so does your Naturopath. All of us will stray from the path and in the long term prevention is cheaper than cure. 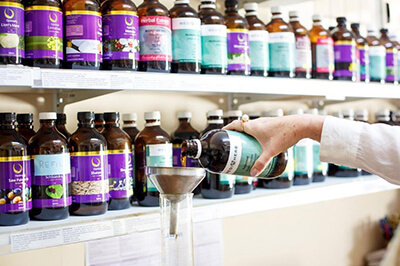 A well trained Naturopath is schooled in many facets of medicine including Anatomy and Physiology, Pharmacology, Biochemistry and Pathogenesis as well as their specialist areas of Herbal Medicine, Iridology, Homoeopathy and Nutrition. We like to spend time getting to know our patients and understanding the issues in their life and for this reason you should expect to be with us for the initial consultation for an hour to an hour and a half. During this time you will be asked many questions about your life and your health, you may have an Iridology and/or Sclerology test performed or perhaps there will be a need for Blood or Saliva testing to be done or a Hair analysis maybe ordered. Your practitioner will decide this after talking to you about your health issues and deciding what further information is required for a better diagnosis and treatment. So often called alternative medicine, Natural remedies have been around as long as humans have. From the first time a leaf was used to bind a wound, to the ancient folkloric herbal remedies of almost every culture, to body works and the advent of Homoeopathics in the 18th century natural remedies have been with us always. In fact many of the medical drugs that are used these days are taken from copying the chemistry of nature and then manipulating it to achieve a specific result e.g Valium from Valerian. Seems unusal to call it alternative medicine doesn’t it. At Perth Naturopathic and Herbal Clinic we have a strong emphasis on the use of Medicinal Herbs in both tablet and liquid form. We use Homoeopathic remedies, Diet and Nutrition, Flower Essences, Nutritional supplements, Amino acids, Oils and Creams and many types of body work, energetic alginments and manipulative therapies to help us improve your health.